Meals on wheels? 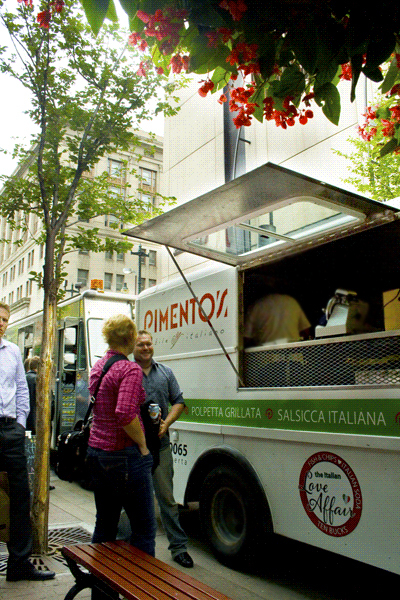 That’s right, Calgary finally gets food trucks. Good gosh! 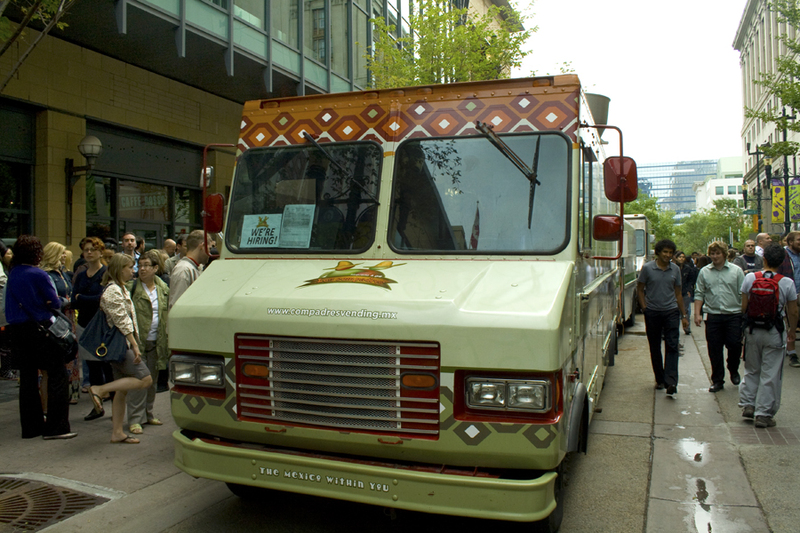 Just thinking of the line ups to the Calgary food trucks on Stephen avenue make my knees weak and tremble, but let me tell you, it was well worth the wait. 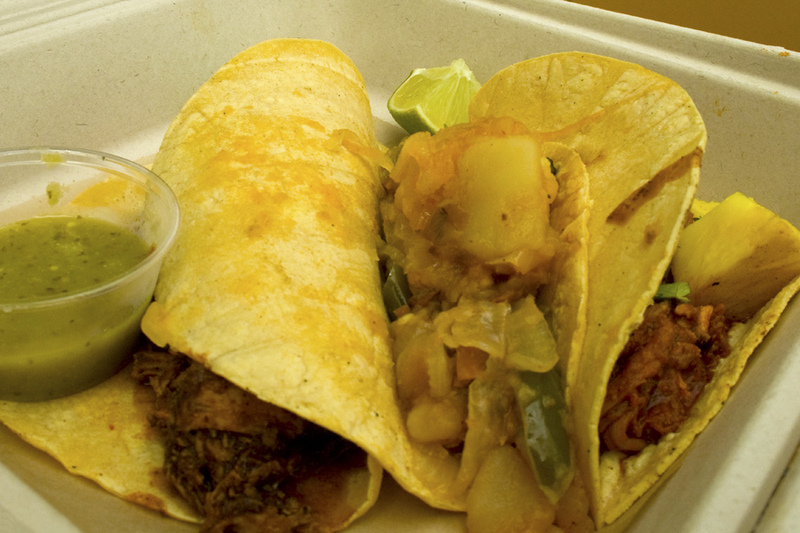 The vibe was that of a friendly Calgary festival, and my authentic Mexican tacos from Los Compadres were delicioso! 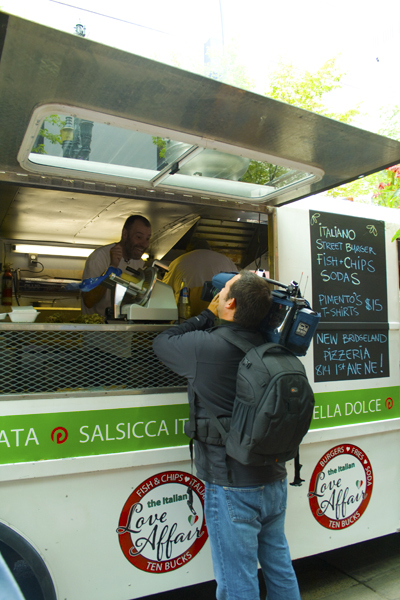 Buskers, a pianist, opera singers, vendors, and a media frenzy created an electricity that had Calgarians extending their lunch hour to savour a delicious meal on wheels. The food trucks were all dressed to impress, full-out and in-theme. 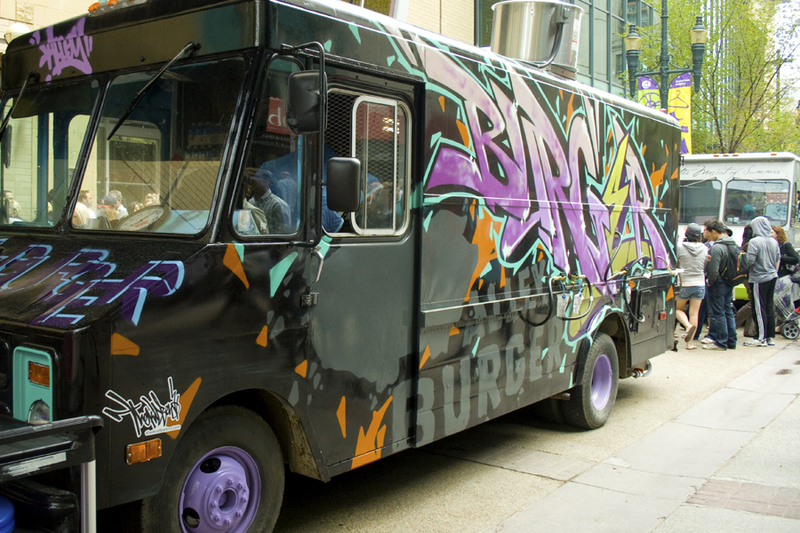 Particularly the Alley Burger truck, run by the Charcut crew (and Connie DeSousa of Top Chef Canada), was inspired by street art, with a commission by local graffiti artist TheKidBelo. The artwork alone was enough to draw you in. 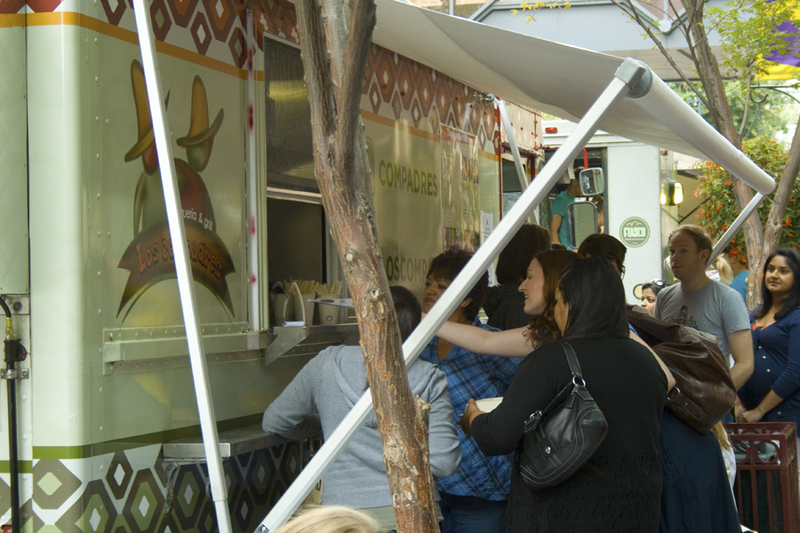 In the past, Calgary had bylaw issues blocking us from the food truck culture, but Mayor Nenshi’s team and the City of Calgary have worked quickly to make this possible. 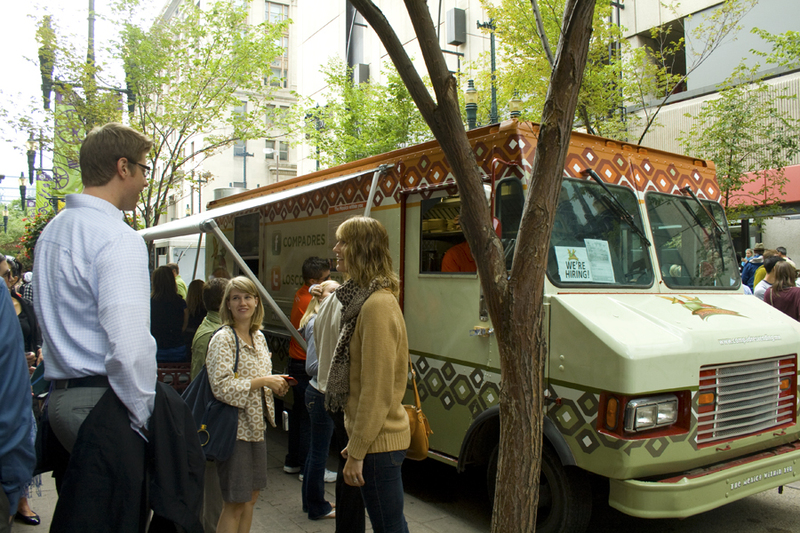 For more information on the food truck revolution, check out YYC Food Trucks.